Hello!! My family and I are new to raising chickens. We had no idea what kind of chickens to get, how many and what to build for them. After doing a lot of research on the Internet we decided that a chicken tractor would be best for our home. I really liked the ark style tractors but my husband didn't think the chickens would be happy living in such a tight sleeping area. 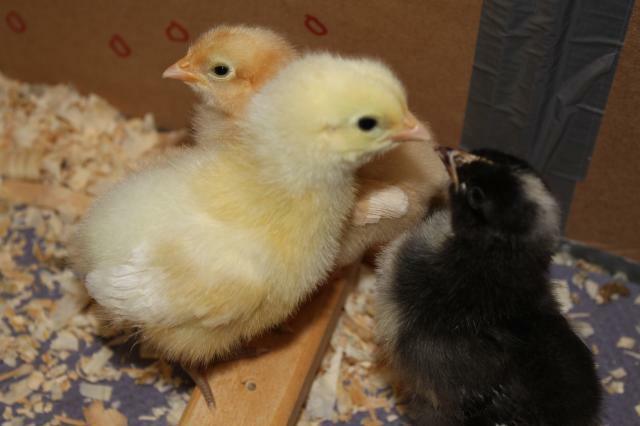 We had figured out that we would start with 3 chicks and see how it goes and expand from there. We wanted sweet, docile chicks so it didn't upset the neighbors so we chose 1 Barred Plymouth Rock, 1 Buff Orphington and 1 White Plymouth Rock. Before I was going to order them we really needed to decide how to make the tractor. We wanted to be prepared. We decided to make the sleeping area square with the nesting box on the outside and the run tall enough for us to walk into. Once we drew up the design we searched to see how big of a space 3 chickens would need. 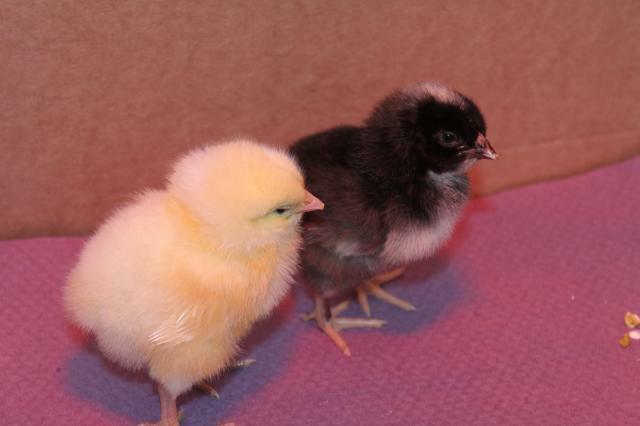 Once we figured out everything, I then ordered the chicks. After they were ordered we needed to figure out their names. After a long discussion we decided to name them after characters from the movie Lord of the Rings. But which ones? My husband chose Pippin for the Barred Rock, my daughter chose Smeagol for the Buff Orphington, and I chose Merry for the White Rock. Now the wait for the email with a ship date was on. I was so shocked when I got an email that they were shipping only a week after ordering them. I think the day they shipped was the happiest and the most nerve-racking day ever. I was so worried about them shipping and being in transit for 2-3 days. I was so surprised when they arrived the very next morning. When I opened the box my heart melted. My husband had to come home from work during his lunch hour just to see them. My daughter was jumping up and down when I told her they came today. Our little girls are so cute. The only sad thing is that where we live we are only allowed to have 6 hens and no roosters. I keep telling my husband I wish I had ordered the max that we can have here but he thinks we should start small and we can always add 3 more in the future. 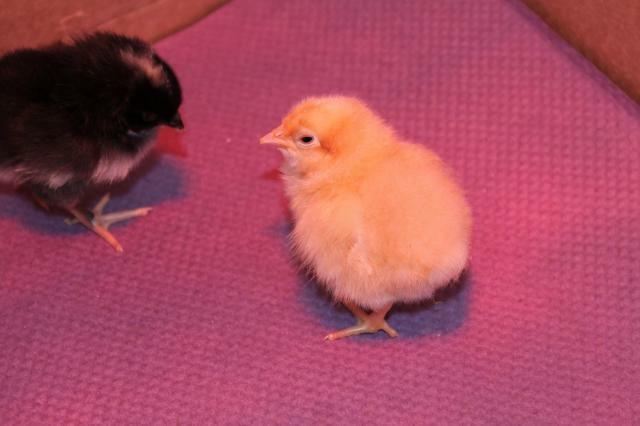 Watching them in their brooder is so entertaining. I was really surprised when they started eating out of my hand the very next day. Some of our family members think we are crazy for raising chickens, but we'll see how crazy they think we are after they taste the fresh eggs from our girls. Call duck - assisted hatch?